Luxury motor yacht MAVI is a Riva built 75' Venere charter yacht launched in 2009. The yacht is elegance personified balancing sophistication and innovation, without sacrificing one for the other. M/Y MAVI can accommodate 8 guests in 4 cabins and is based in Naples, Italy. 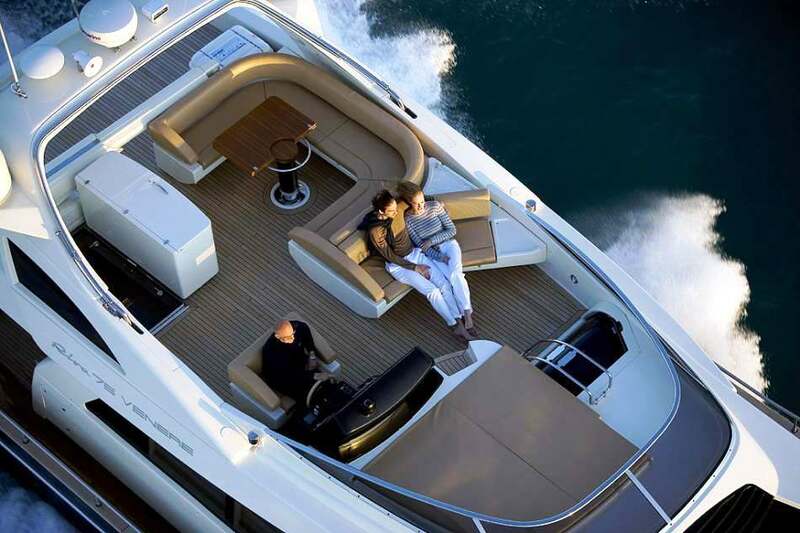 Riva motor yacht MAVI features futuristic styling as the essence of her the interior. Natural light floods in from the wide windows, offering sense of space. 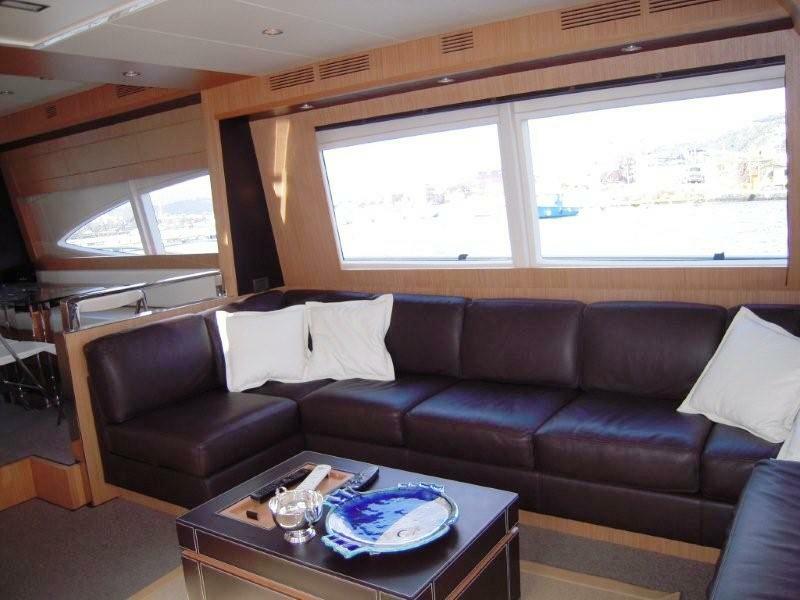 Her interior was designed to offer maximum comfort with elegant black leather sofa seating up to 6 guests and an adjoining dining area with a glass table that seats up to eight people. The kitchen is fully equipped and has double access. 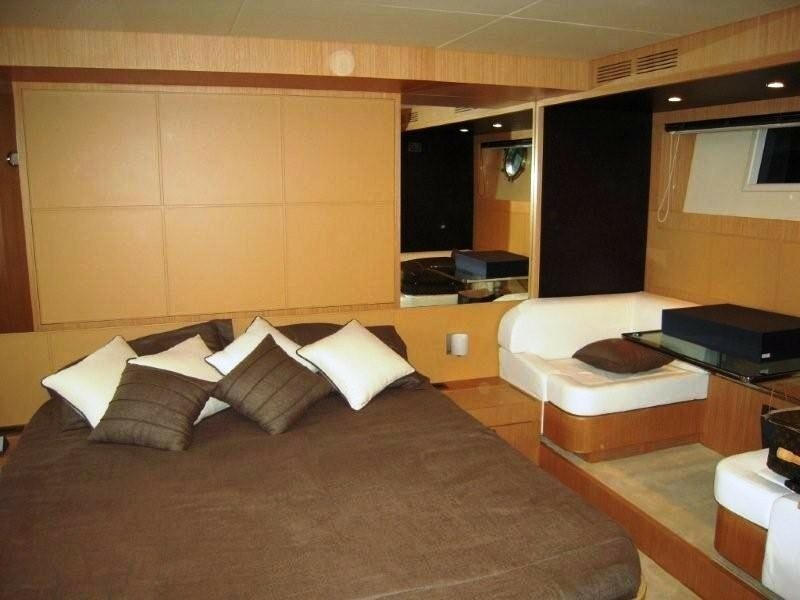 Luxury motor yacht MAVI’s accommodation area is below deck and includes an owner's cabin located forward which has a study area, a retractable LCD TV and wardrobe. 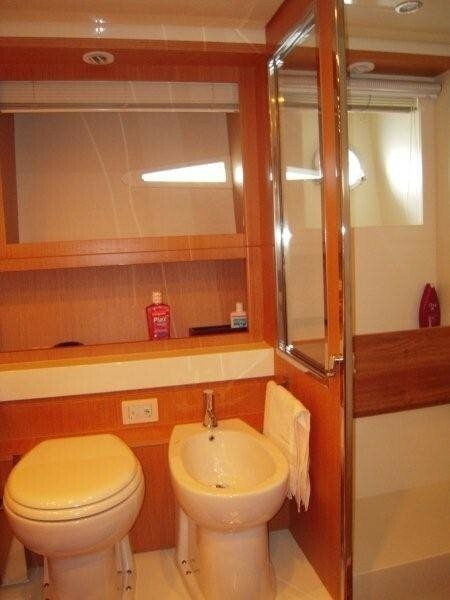 The VIP double cabin and 2 twin guests’ cabins are in the center of the boat and each cabin has direct access to a private ensuite bathroom. 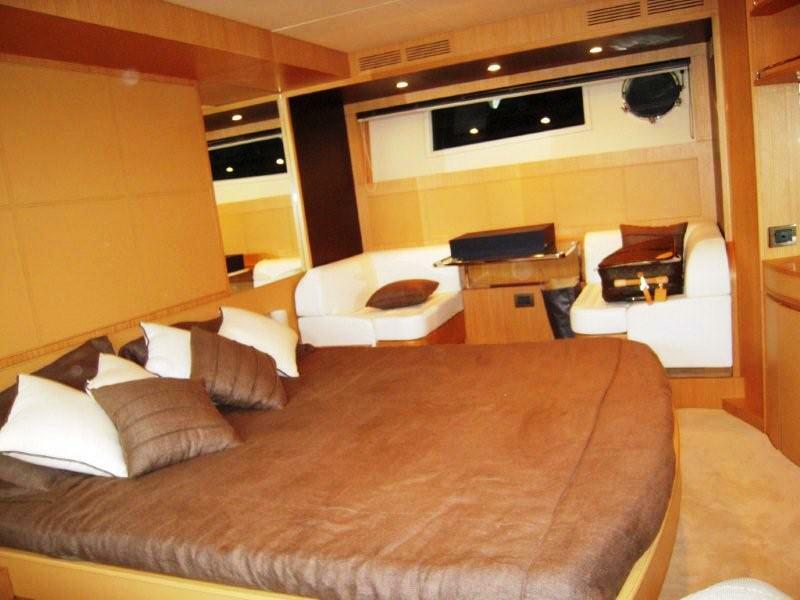 The 75' Venere MAVI has an attractive blue hull with a white superstructure. 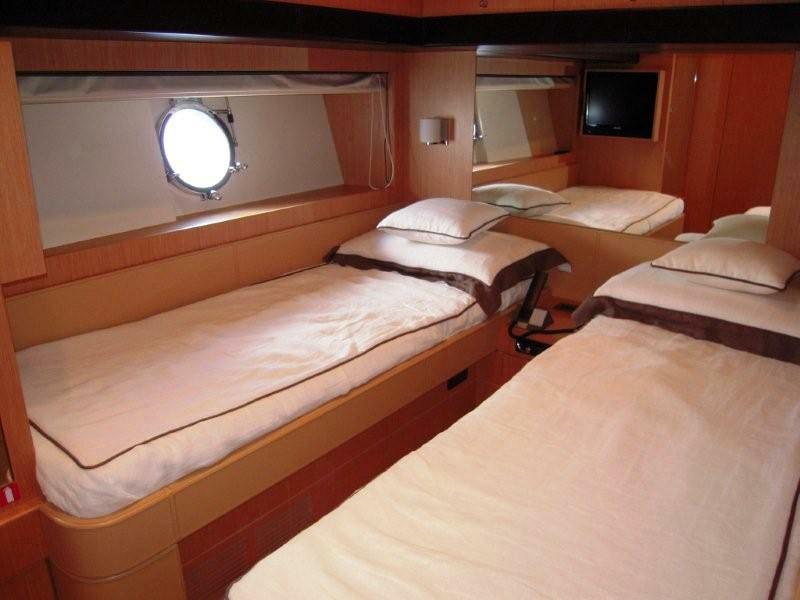 She boasts a large sun area on the fore deck and on the fly and the cockpit with offers a table for el fresco dining as well as a comfortable sofa. 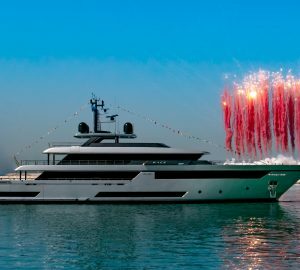 Luxury motor yacht MAVI is based in Naples Italy and is available for charter around Italy, France and the Western Mediterranean .Her crew of 3 are ready to welcome you onboard. 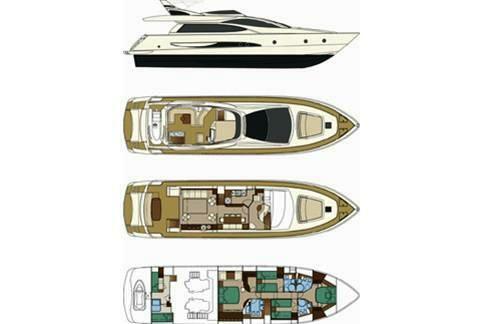 The Riva 75 motor yacht MAVI can accommodate 8 guests in 4 cabins including a Master, a VIP and 2 twins. 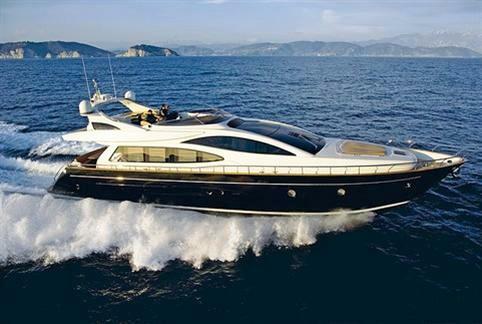 Luxury motor yacht MAVI has the following selection of extras onboard: She has a tender with outboard. Her Communications include a GPS plotter, depth sounder, radar, Vhf, autopilot. 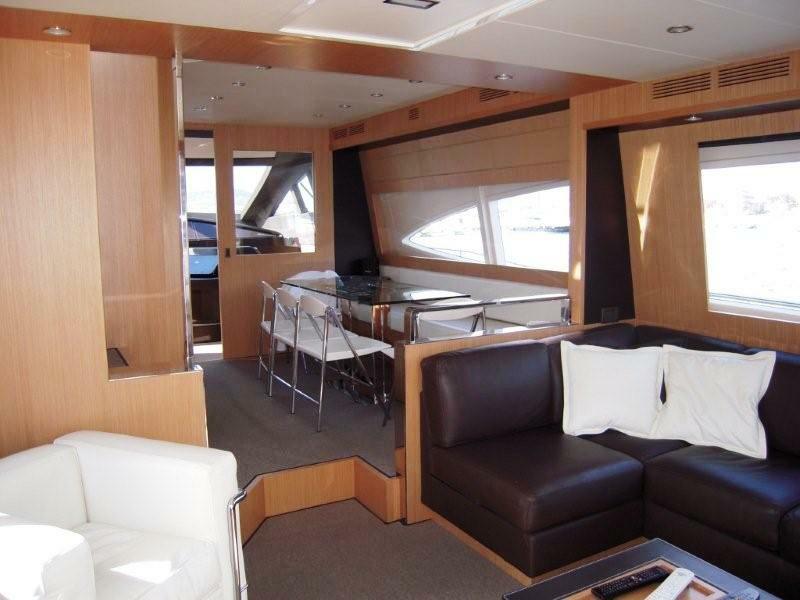 Audio Visual Equipment and Deck Facilities include a Bow thruster, hydraulic passerelle, bridge to stern. Anti-rolling zero speed stabilizers Mitzubishi 4000 as well as complete safety equipment.